Fight Like A Girl is a benefit show hosted by Lou Di Bella for Trista Vaughan, a mother of 3 who is suffering from breast cancer. The gig is to raise money and moral support for Trista. 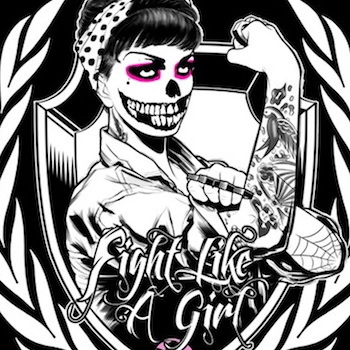 The Fight Like A Girl line-up is solid: The Misfits, Sheer Terror, 100 Demons, Subzero, Incendiary, Rude Awakening, Make Amends and Empty Vessels. The show will also include raffle/auction with prizes from Sick Of It All, Gorilla Biscuits, Hatebreed and much more. Saturday April 27th, 2013 at Tuxedo Junction 2 Ives St. Danbury, CT. Go to allshows.com and buy your ticket!